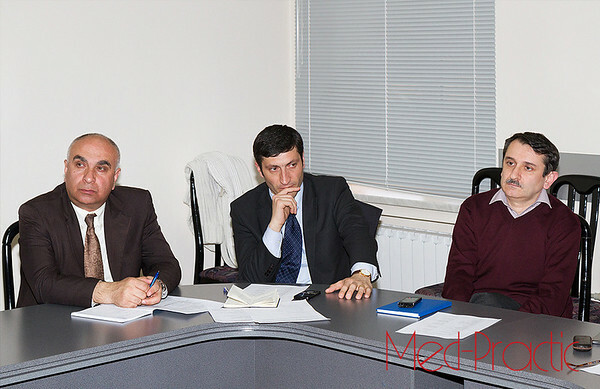 Armenia is gearing up for the International Medical Congress of Armenia, which is set for July 2015. As a leader in improving Armenia’s healthcare system through its medical programs, FAR is already actively involved with the Congress. FAR’s Health Programs Coordinator Dr. Hambardzum Simonyan is involved in the Congress’ organizational committee and is leading coordination with Diaspora organizations in preparation for the event. The Congress will host a list of internationally recognized experts; healthcare professionals from all over the globe are also expected to attend. This Congress will highlight advances in various fields of medicine, dentistry, pharmaceuticals, nursing, health education, ethics, complementary and alternative medicine, as well as other issues of interest and concerns facing healthcare today.